It’s a treasure trove of interesting activities-paper folding, toys, thumbprints, pictorial periodic table chart, simple science models etc. all lucidly explained and copiously illustrated. 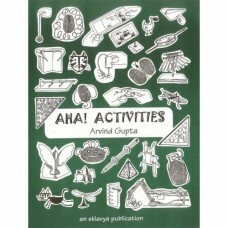 The book opens up possibilities of doing simple science activities and enjoying craft with everyday material.